Find your creative side in Howard County! Need some artistic inspiration? Howard County is home to some inspiring sights and galleries, perfect for anyone looking to add more art in their lives. 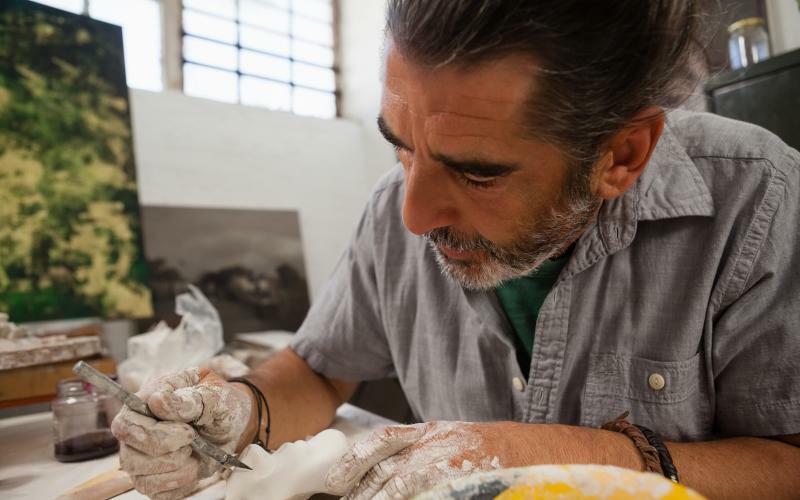 Columbia Art Center offers a wide variety of art classes and workshops for all ages and skill levels, plus exhibitions in the galleries showcasing the talents of local and regional artists, community events and a gift shop. Featuring three performance venues and two art galleries, the Horowitz Center is proud to present the finest in student and professional works. Operates the Howard County Center for the Arts, a vibrant place for the arts featuring exhibits, performances, classes, and studio space for artists. Experience Ellicott City&apos;s favorite night out! Pinot&apos;s Palette is the premier upscale "Paint and Sip" studio in Maryland. We are the hottest ticket in town and a perfect place for a Girls Night Out, Date Night, Anniversary Night, Birthday Celebration, Corporate Team Building or a Customer Appreciation Event! Roxy&apos;s Art - Fine Art & Architecture at Historic Savage Mill is an active place where you can experience art being created, taught and displayed. The Gallery features the artwork of Roxana Sinex, Robin Kinney and Rebecca Branham. The themes of the representational paintings range from portraiture, flowers, landscapes, small animals and birds. Our goal is to inspire the spirit, uplift the soul and free ourselves from stress and worry. We hope that you enjoy the paintings! The ClayGround Studio & Gallery is dedicated to providing a positive experience in a fun, nurturing environment for artists of all levels in their creative journey, encouraging participation in the arts thru advocacy, education and outreach and serving as a vital creative resource for the many communities in our region.